Rashaid reduces the negative effects of viral, bacterial, and fungal infections in your dog’s skin. It can be used on wounds, scrapes, bites, and burns. 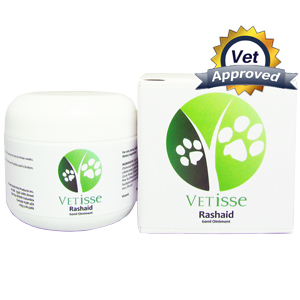 If your dog has any skin issues, Rashaid helps reduce the swelling and irritation and heals the superficial skin issue. It also has antiseptic and antibacterial properties. This remedy is not recommended for cats. All of the herbs used to formulate Rashaid have unique properties that are beneficial to the skin. 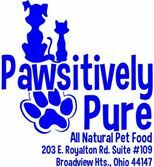 However be cautious when using this product because it is dangerous to young pets when given in large dosages. It is especially dangerous to kittens. As a pet owner you should apply 1tsp of Rashaid on the infected area three times a day. Be sure to only apply a thin film of this product on the infected area because that is enough to support your dog’s skin problems. This should be repeated for two to three weeks depending on the condition of your dog. Want to carry Vetisse products in your store? Send us a request by filling out our Retailer Info form and one of our reps will get back to you! Vetisse is a line of herbal remedies for pets created to supplement treatment for common pet ailments including arthritis, worms, infections, and wounds. All of our products contain quality botanical ingredients that were and still are used in traditional Native American, European, Chinese and Ayurvedic medicine.